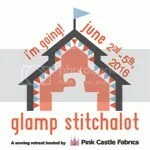 ← Sewtopia, Salt Lake City! my Work Tote. 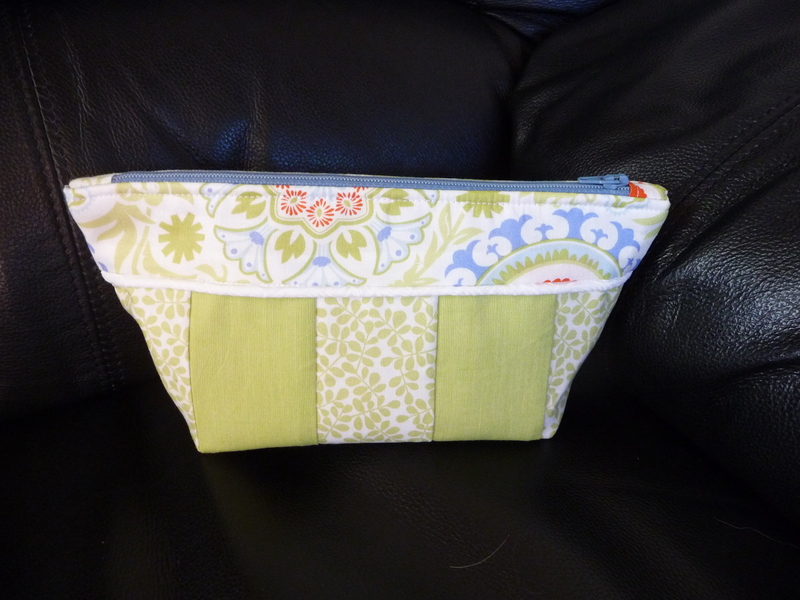 It is the same Bijou Lovely pattern I used for my Market Tote that I used in a swap at my guild in April. I’ve been using it everyday and I love it! I made a sweet little zipper pouch for another swap at my guild. This one I created as a challenge. I chose some fabric that I normally would not use and tried to make something pretty. I am very pleased with the outcome. I used a pattern I have used before by Atkinson Designs. 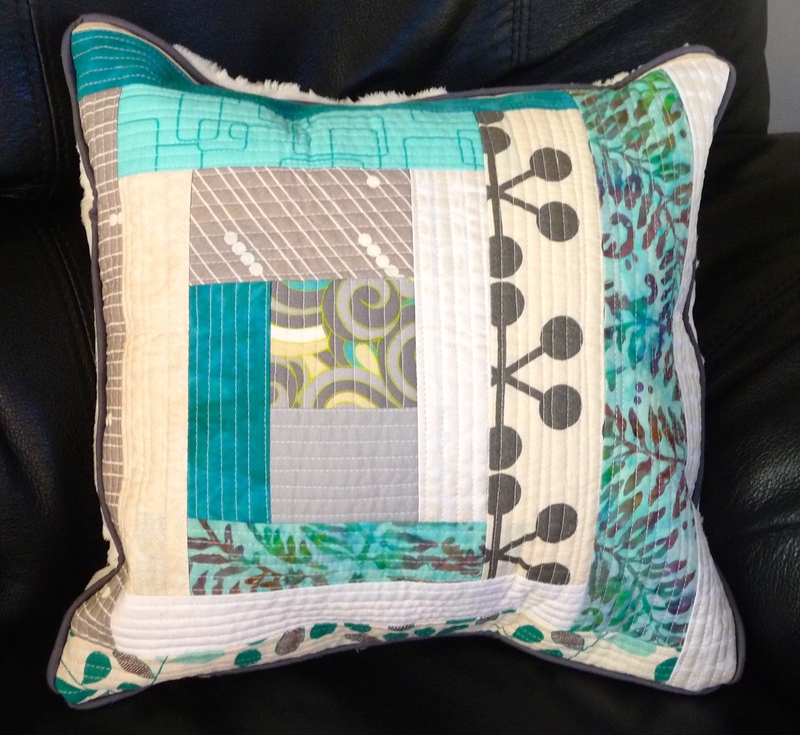 I started this pillow at the Riley Blake Fabric Fest in Vegas over a year ago. 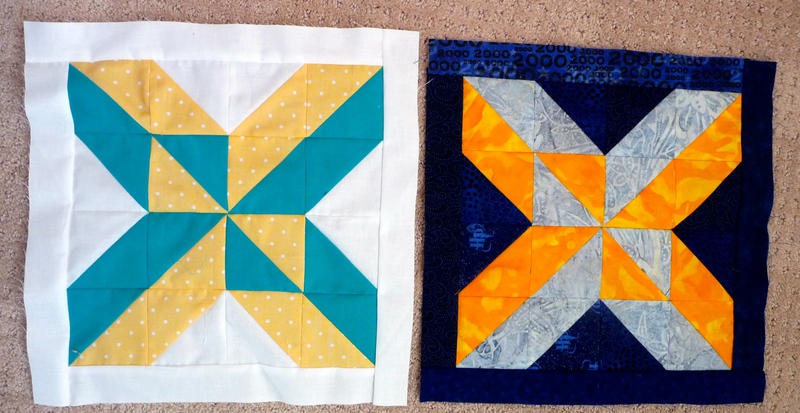 It was an improv piecing class exercise that needed a home. I put minky on the back and made my own gray piping for the edges. This is my first pillow so I am rather pleased. 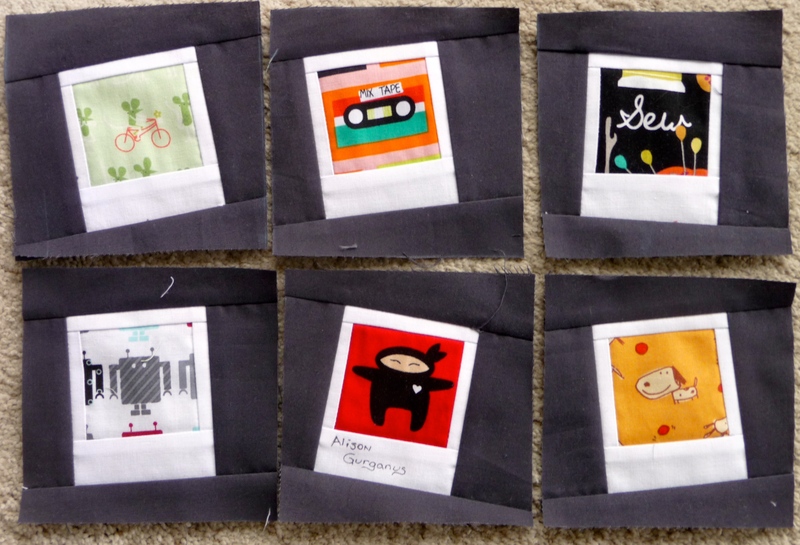 These are polaroid blocks, they turned out so great I “almost” want to make a quilt out of these myself. 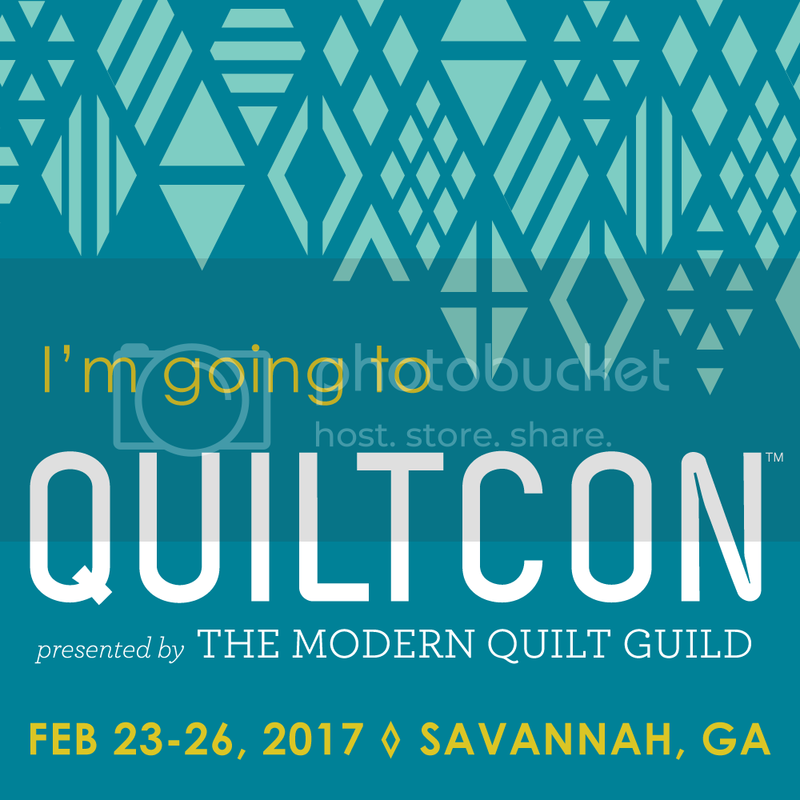 HOWEVER, I did make on of those lists of how many projects I have on the books and…well…it’s time to work on what I’ve got and use up the fabric stash…I’m sure you understand (except that new quilt for my brother-in-law that’s not officially begun but has made it to the list even though the pattern and fabric have not been chosen…just one of those things that must be done and darn it that will mean more approved fabric shopping…darn). I love the color palette however limiting. I know the color in this picture is off, the orange is really more cheddery like the pic of the two blocks above. 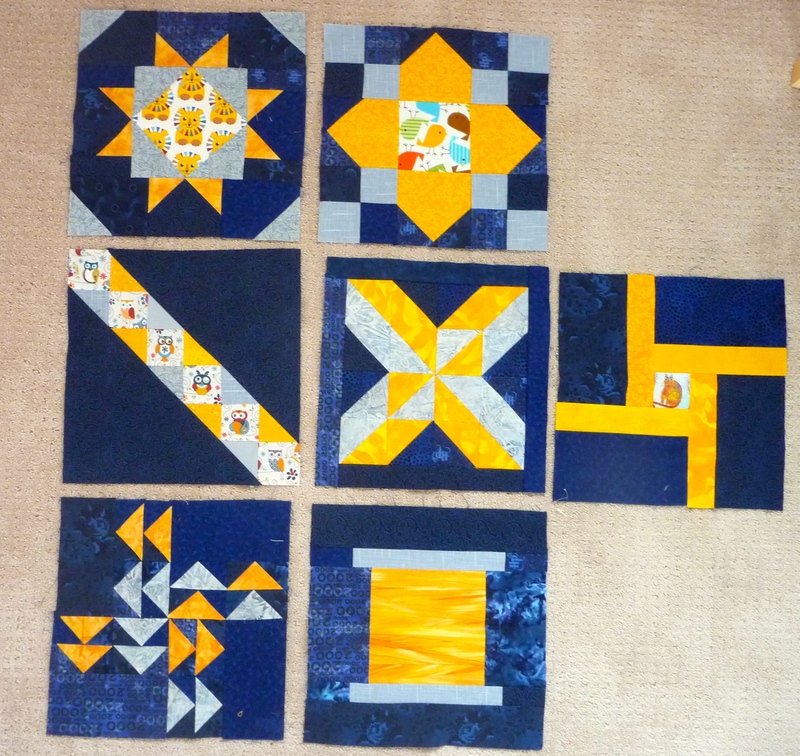 These were actually just for free motion quilting and binding practice. 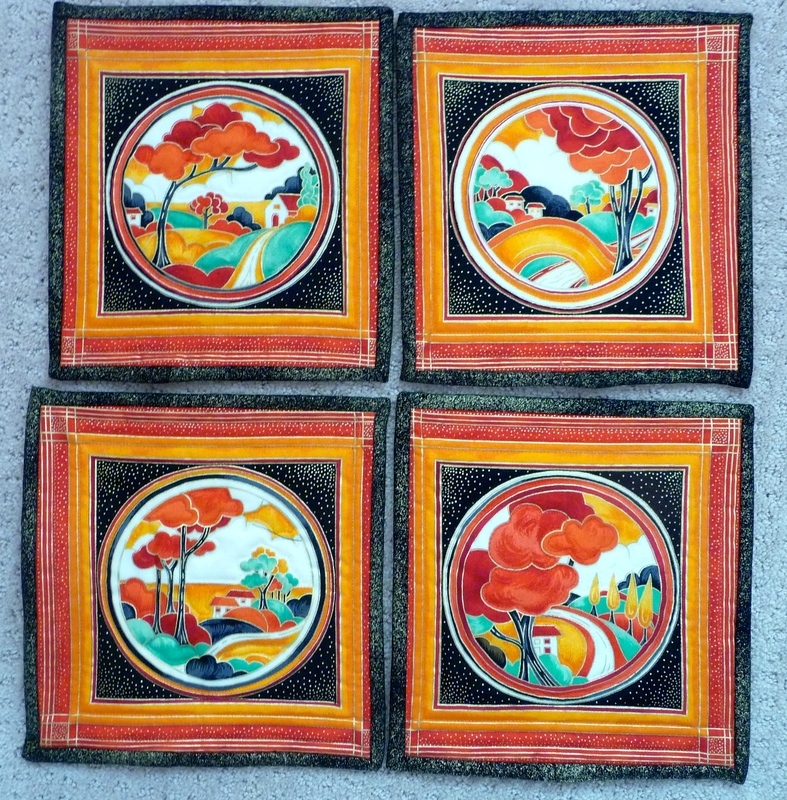 There just so pretty I wanted to add them in :-)By the way I highly recommend mug rugs for skill practice, it has made all the difference in my quilting adventures of the latest quilt. The best news is I just attached the front of the binding for my Snowman Quilt (I still need a name for it). All I need to do is hand stitch the back down and wash it and it will be ready for pictures! This entry was posted in Bee Blocks, Finished!, hand made bags, modern Blocks Quilt A Long, Riley Blake Fabric Fest, snow man quilt, Uncategorized, zippered pouch and tagged Bee Blocks, Christmas Quilt, Finished Project, Modern Quilt-a-Long, Riley Blake Fabric Fest, snow man quilt, Tote Bag, Zippered Pouch, Zippy Strippy Pattern. Bookmark the permalink.